Short video lessons and practice exercises to work on at your own pace. Science and math for middle and high school levels. Includes diagrams, science experiments, essays, definitions, biographies, ebooks, and lesson plans. For technical support, please contact 1-800-322-8755 or visit Science Online's support page. Search for electronic journals by title or ISSN. King County Library System is dedicated to ensuring access for all patrons. 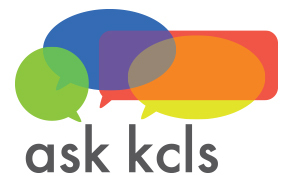 If an online service is not fully accessible to you, please contact Ask KCLS to discuss alternate options.